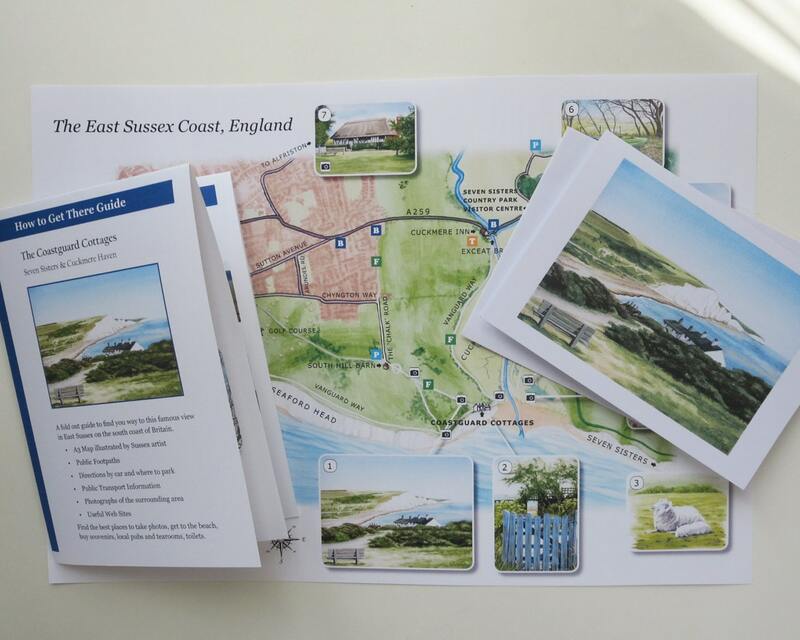 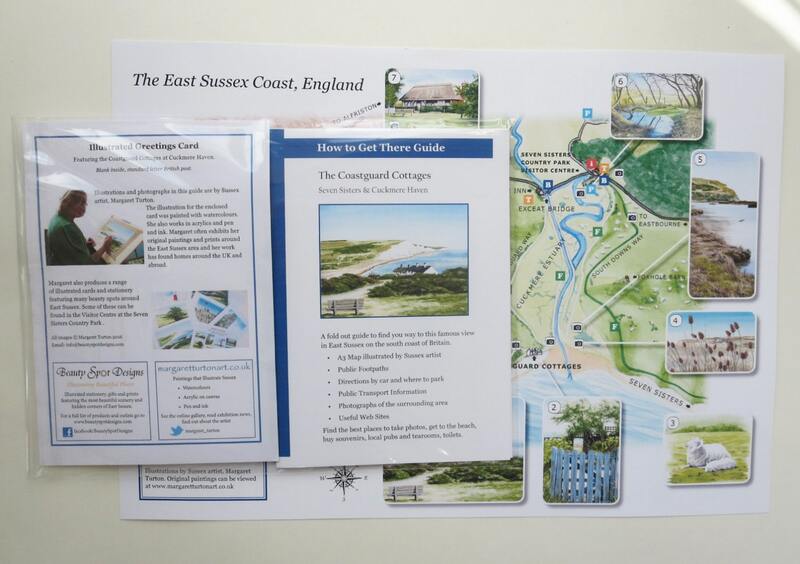 This pack contains a fold out guide explaining how you get to the famous view of the Coastguard Cottages at Cuckmere Haven, Sussex. 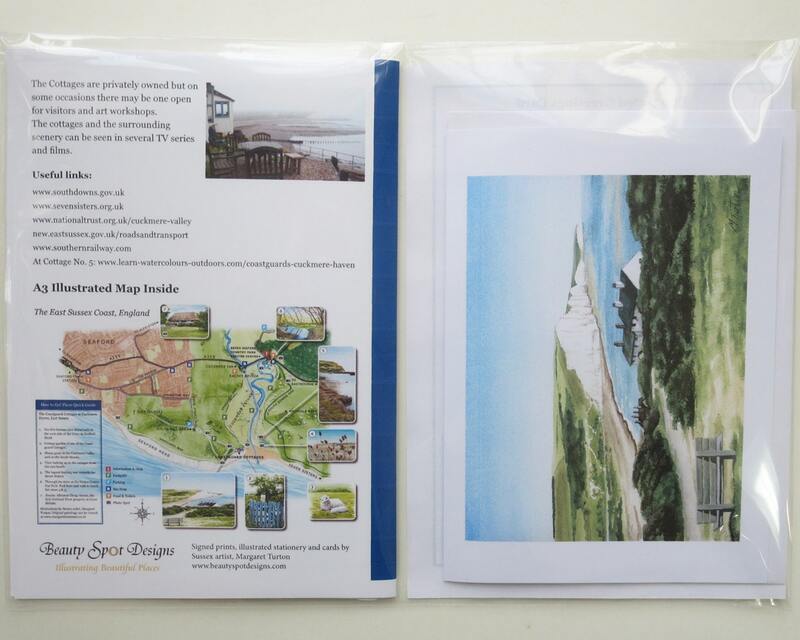 There is an A3 illustrated map showing all the main points of interest including the best places for artists and photographers to capture their own images. 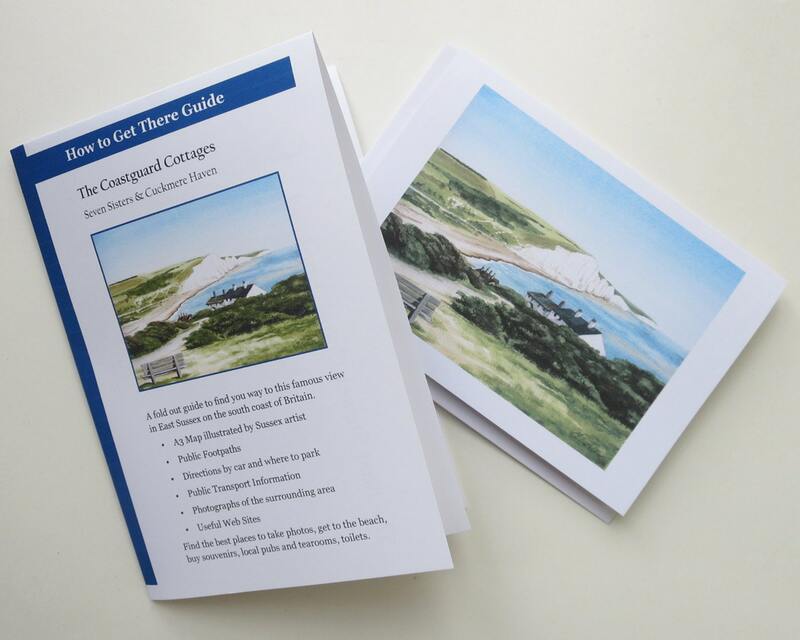 The pack also includes a greetings card of the scene by Sussex artist, Margaret Turton.